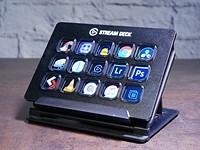 The Elgato Stream Deck is a product aimed mostly at online gamers, but as contributor Chris Foreman discovered, with a bit of customization it's also a great tool for photo or video post-processing. 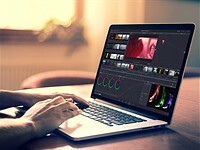 Adobe has announced development of Project Rush, a cross-device video editing application that consolidates the entire video creation workflow, from shooting to social media sharing, in a single application. 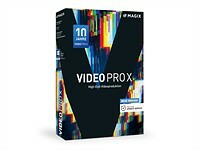 Video editing software package Video Pro X has received what is described as its biggest update yet to mark ten years since Magix Video Pro was launched. The Trint for Premiere plugin integrates seamlessly into Adobe Premiere Pro CC, using the company's popular speech-to-text technology to automatically generate easy-to-edit captions for your video projects. 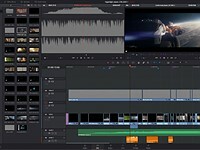 Blackmagic Design just released a massive update to DaVinci Resolve that integrates VFX editing and motion graphics into an all-new Fusion module. 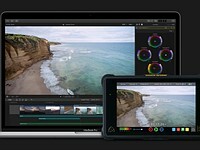 That makes DaVinci Resolve 15 the only post-production tool to combine video editing, color correction, audio production, and visual effects into a single tool. 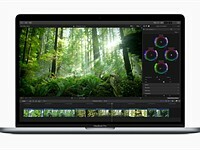 Apple just released version 10.4.1 of Final Cut Pro X, and the big news is a brand new video format called ProRes RAW. The new format combines the editing flexibility of RAW video with the performance benefits of compressed ProRes. 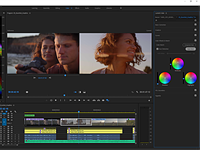 Adobe has updated Premiere Pro CC and After Effects CC with some cool new features, including an AI-powered Color Match and color grading split-view that will save video editors a ton of time when color grading their footage. 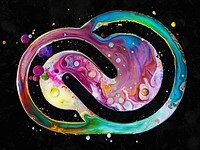 For the first time in five years, Adobe is raising the price of some Creative Cloud subscription packages. The good news for photographers: The $10/month CC Photography plan that includes Photoshop CC, Lightroom CC, and Lightroom Classic CC will stay the same. 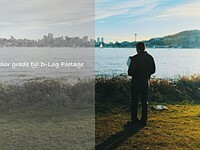 Have you toyed with the idea of shooting Log video on your DJI drone using DJI's D-Log picture profile? If so, here's a quick tutorial covering the basics. 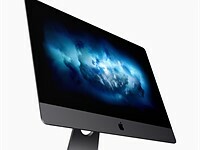 A fully loaded iMac Pro will cost you an eye-watering $14,000... but if you're set on an Apple all-in-one, is it really $8,000 better than a fully-loaded 5K iMac? Parker Walbeck of Full Time Filmmaker ran some tests to find out what kind of performance you get for that money. 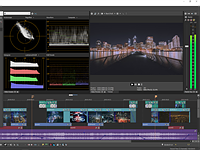 In an attempt to attract new users, Magix has made its Vegas Pro video editing software available on a subscription basis. The program typically costs $600 to buy outright, but on the subscription model users can access it from $16.67 per month. 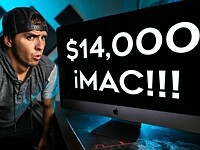 PhotoshopCAFE host Colin Smith puts a $6,400 iMac Pro to the test against a Mac Pro, MacBook Pro, and an Alienware gaming PC in a variety of intense photo and video editing tasks to see if this powerhouse all-in-one is worth the money. 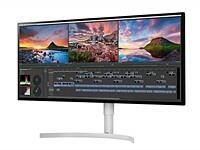 Announced ahead of CES, LG's new 34-inch 5K UltraWide monitor and its 4K 32-inch beast should both have photographers and video editors chomping at the bit. Apple just dropped a major update of video editing program Final Cut Pro X, adding support for HDR, VR and 360° video editing, 8K support, and advanced color grading tools including (FINALLY!) curves. If you still use Apple's Final Cut Pro 7, you have a choice: either you don't update your Mac to macOS High Sierra, or you make the jump to Final Cut Pro X. The older version won't even launch on the new operating system. Are the NLE wars beginning to heat up? 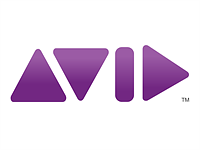 Weeks after Blackmagic cut the price of DaVinci Resolve, Avid has released 'Media Composer First,' a free version of its industry-leading nonlinear editing (NLE) software. Is it worth considering? 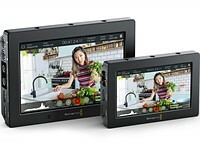 Blackmagic Design has dropped the prices of its Video Assist external monitor/recorders for a limited time. 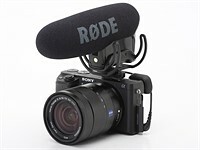 Prices of the SD card-based recorders will be reduced in all markets, while supplies last. No mic socket? No problem. 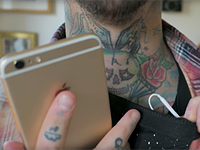 In this video, Daniel Peters at Photo Gear News shows you how to make a lapel microphone using just a smartphone and a pair of earbuds. 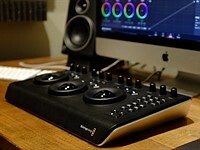 DaVinci Resolve is making strong moves to compete with Premiere and Final Cut Pro, including affordable control panels for colorists. According to Premium Beat, they're really good. 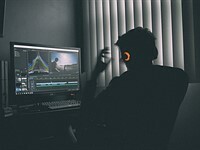 Is it time to adopt DaVinci Resolve for video editing? 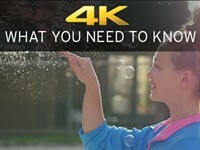 NewsShooter interviews Blackmagic president Dan May about DaVinci Resolve 14, released last week. 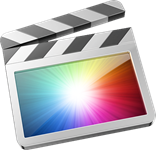 Apple has updated Final Cut Pro X, its high-end video editing package, to v10.0.3 with the ability to import projects from Final Cut Pro 7. 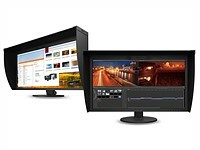 The upgrade includes several pro-level options, such as multi-camera syncing, that were not included when the first release replaced the more expensive and complex Final Cut Pro 7. Initially its different way of handling clips made look like Apple wouldn't be able to get Pro 7 projects to work in Pro X but a $9.99 Apple app called 7toX has found an xml-mediated method of doing so.